How can you go wrong with beautiful butterflies? This is a gorgeous card created from the new Stampin’ Up Butterfly Gala bundle coming out in the Occasions Catalog. 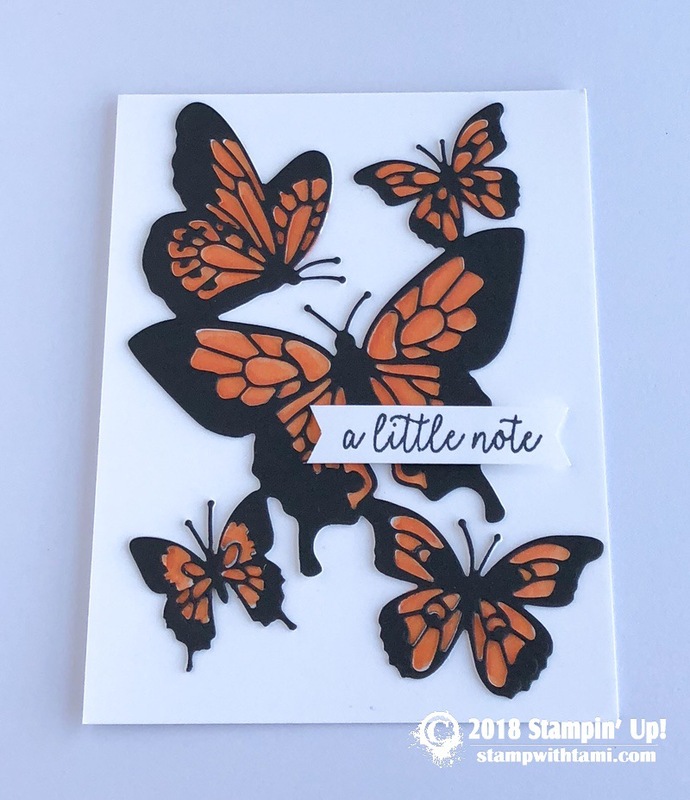 The butterfly bodies are cut from the Butterfly Beauties dies and colored with the Pumpkin Pie Stampin’ Blends Markers. Love this Butterfly card. How was it made.